Each year, thousands of construction workers in the United States are injured or killed on the job. Statistically, one out of every five workplace fatalities in the country involves a construction worker. These accidents often occur because the construction company failed to properly establish a safety program or safety engineers were negligent. Regardless of the cause, a worker injured at a construction site is often entitled to compensation. If you or a loved one has been harmed while working at a construction site in New York, get in touch with a New York construction accident attorney today. They’ll help you secure the compensation you deserve. Thanks to the Workers Compensation Act (WCA), most states allow construction workers injured on the job to be eligible to obtain some compensation even if the accident was a result of their own carelessness. Benefits a worker might receive include weekly payments and coverage of medical expenses. 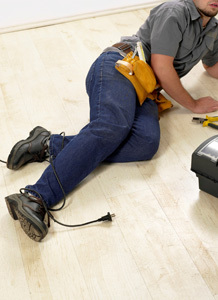 Most of the time, a construction worker injured on the job is not able to sue their employer for work-related injuries. However, that doesn’t mean a third-party can’t be found negligent. There are circumstances in which it’s possible to assign liability to a third-party following a construction site accident in New York. For example, equipment manufacturers, architects, owners, and contractors may all be held liable if an accident arose as the result of insufficient safety measures. Warning all relevant individuals of any hazards present on the site. Hiring employees who’ve demonstrated an ability and willingness to exercise caution on the job. Ensuring all safety specifications are followed carefully. Construction equipment manufacturers must design and maintain safe products. A construction accident could occur if a piece of equipment is dangerous, defective, or poorly maintained. While personal responsibility is always important at a construction site, the risk of injury rises substantially when the equipment workers rely on isn’t safe. Thus, if an accident is related to a faulty product, its manufacturer may be held liable. Determining this liability is part of the reason to discuss your case with a workplace injury attorney. If you or a loved one has been injured while working construction in New York, you need proper representation from a workplace injury attorney. The New York construction accident lawyers at The Rothenberg Law Firm LLP can help you secure the compensation you need. To speak with one of our NY workplace injury lawyers, call 1-888-624-8888 or submit a free online case evaluation at InjuryLawyer.com. Your initial consultation with a workplace accident attorney is FREE of charge. If we agree to represent you, our New York construction accident attorneys work on a contingency fee basis. That means we’ll never charge any legal fees unless we’re successful in getting you money. The Statute of Limitations can impose an expiration date for filing a lawsuit. That’s why it’s important to contact a workplace injury attorney in NY as soon as possible. Our dedicated team of New York workplace accident lawyers make sure you get the representation you deserve.